Well PGRC, language zealots insisted that “50k” and “Fun Run” don’t belong near each other but we proved them wrong! I declare the first-ever, PGRC “50k Are You Crazy!? Fun Run” a huge success and everyone seemed to have fun. I arranged for splendid weather, especially for the end of May. The temperature peaked at 81 degrees F and the dew point was in the very low 50s and there was a mild but steady breeze out of the NE. I gave “Participant” certificates to: Amanda, Cindy, Claire, Dave R, Karen, Kirk, Patrick, & Zach. 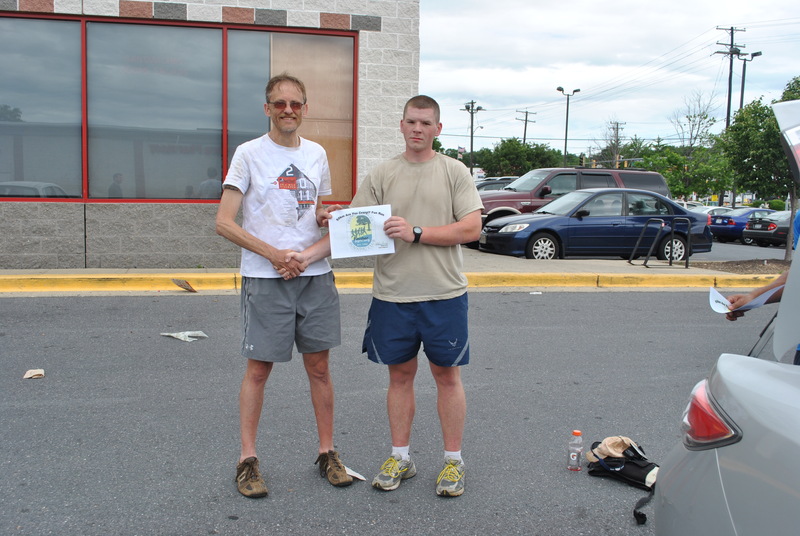 Gary and Michael, a friend of PGRC both completed the entire 50k and received the coveted “Finisher” certificate. 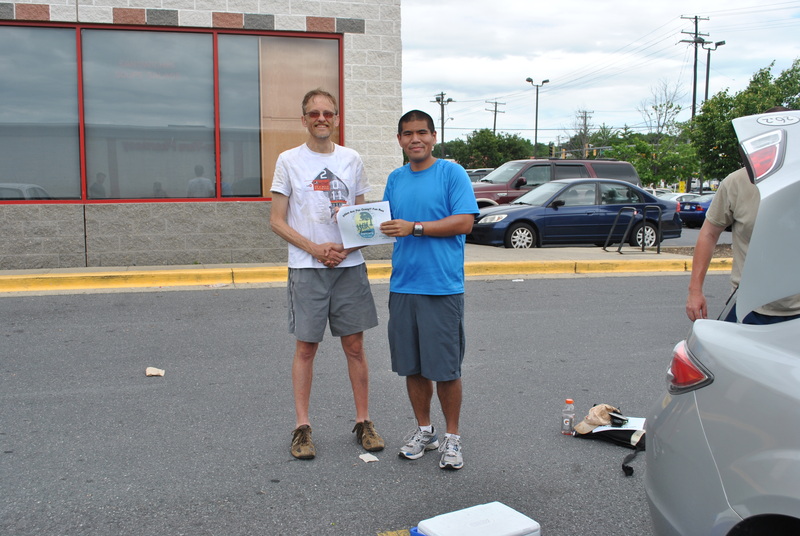 I finished the event with a grand award ceremony; in the Parking Lot of ABC I handed Gary and then Michael the “Finisher” certificate.